Advanced Micro Devices, Intel’s main competitor in processors, has confirmed its plans to enter the tablet market by launching its own processor for tablets. 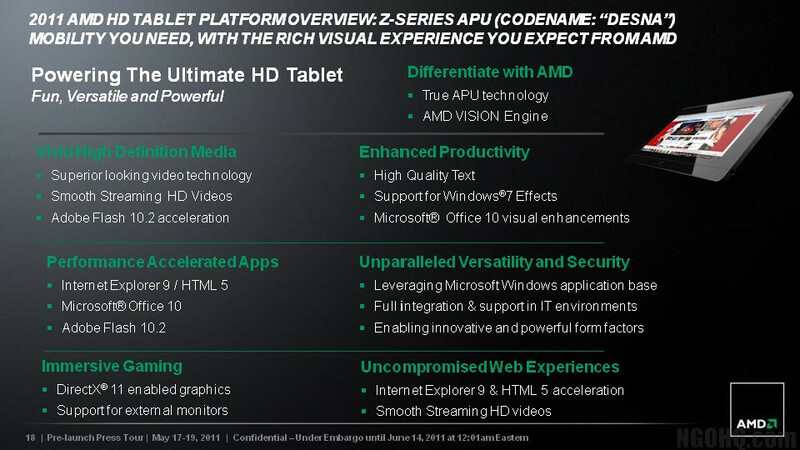 AMD codenamed the chip lineup “Z-series” with the first one to be the “Desna.” The upcoming APUs for tablets surprisingly took center stage as the company was expected to stress on its PC “Llano” chips. “We’re done with Ontario. We’re done with Llano now. We’re busy working on the next greatest thing,” Senior VP and General Manager of AMD Products Group, Rick Bergman, commented on the company's roadmap. The “Desna” will operate at under 6 watts and will be made to work with Windows-running tablets. “I’m sure many of you are skeptical about the success of Windows in the tablet world,” AMD’s Corporate VP Chris Cloran countered general sentiment. The chip will be capable of running smoothly HD video, accelerated HTML5 and Internet Explorer 9 “leveraging the Microsoft Windows application base.” It will also support Windows 7 Effects and DirectX 11. But it’s not only Microsoft’s platform that will be supported – some of the tablets will be able to run on Android as well. A demonstration of the Brazos tablet running both platforms followed shortly after. But the brevity of the presentation didn’t allow a deep look at the capabilities of the platform. 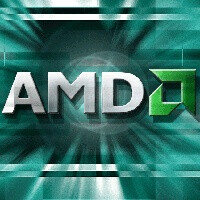 Instead, AMD unveiled its plans about the “Hondo” tablet chip which is to come after “Desna.” Recently, graphics chip maker NVIDIA has managed to leverage the success of its platform to mobile devices, but can AMD such a large vendor base? Feel free to share your opinions in the comments below.